The Rare Beer Club's mission statement is quite simply to bring you the best craft beers that the world has to offer. And certainly no one had more knowledge and experience with artisanal beers than Rare Beer Club founder Michael Jackson, whom The Wall Street Journal referred to as "The World's leading beer critic". More on Michael Jackson's beer journey here. It’s an exciting time to be a beer lover. Passionate, creative, artisanal brewers around the world are returning to often-forgotten traditions without compromising on ingredient quality to cut costs. 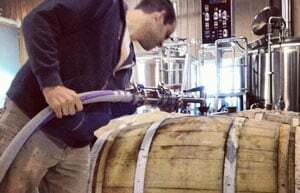 They’re leading the way in creating new styles by experimenting with unusual ingredients, blending aged beers, aging beers in bourbon barrels, and imparting other innovative brewing techniques. Join or Give the Rare Beer Club! Our tasting panel, once headed by Michael Jackson, is a tough lot to impress. Collectively, they have over 100 years of experience in the brewing industry, from heading brewing operations at BJ’s Brewhouse, a 100+ location brewpub chain, to judging at the Great American Beer Festival. They rate each prospective selection only knowing its style and not where it was brewed. 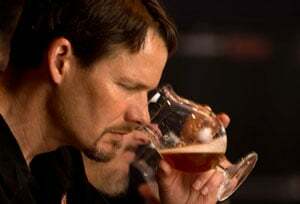 Our blind-tasting format assures no prejudices sway our goal of identifying extraordinary beers. Never Receive a Beer You Don’t Want to Get! 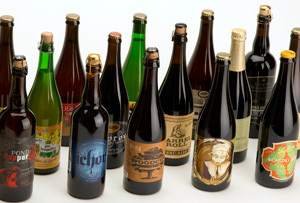 All of our selections are presented in 750 ml bottles; most are also cork finished and wire caged. We often help introduce products to the US market so you'll be the first to try them. You’ll also get beers brewed exclusively for our members, like Jolly Pumpkin’s Lupulo de Hielo, an oak-aged spiced blended ale. We work with breweries like Belgium's Fantôme, where brewer Dany Prignon continues to dazzle the world of craft beer with products like Fantôme Chocolat, a Belgian saison brewed with cocoa powder and chili pepper. Many of our featured beers are aged in French oak, bourbon, or even cedar barrels and are brewed with brettanomyces and other wild yeasts. Many brewers are now offering beers to consumers in small-batch releases that were once enjoyed only by their inner circles. 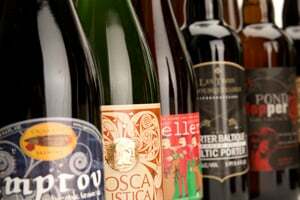 Imperial or Extreme beers are often bigger versions of existing styles. More malt, more hops, and much higher ABVs, some of which exceed 12%. They are often complex, celebratory offerings, meant to be shared and sipped as you would enjoy a fine spirit. Many selections will offer high enough hop acidities and ABVs to allow them to be laid down and aged. Members can easily reorder their favorite selections, set them aside, and see how they've matured in months and even years to come. When you think of bold, exciting, creative styles, several countries including the US, England, and Belgium come to mind. But we'll also introduce you to exciting microcosms of creativity found in countries like Brazil, Japan, The Netherlands, Scandinavia and more. Members receive two different styles in each shipment. We strive to offer variety between those two styles as well as from month to month. 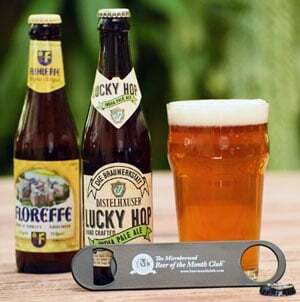 Variety to us means not only by style but also by country of origin, so rest assured that both domestic US craft brewers as well as time-honored international breweries will be represented. Chances are pretty good that you’d also really enjoy our rare wine club, The Collectors Series, which features extremely limited production and exclusive offerings crafted to be cellared by using the oldest vines, spending more time in the barrel, and using only the best vintage grapes. 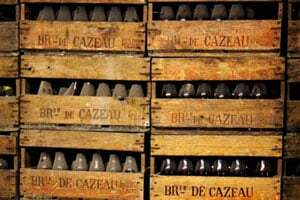 The International Wine of the Month Club also offers two other membership levels, our premium wine club, The Premier Series and our fine wine club, The Masters Series.